The Arizona GRG Chapter is Hot, Hot, HOT! 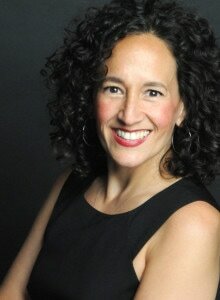 Barbara has over a decade of event planning and coordination experience in several different industries. Her passion for making each event perfect is second to none. We are blessed to have her as a new member of The GRG Network in 2017 and even more excited to have her take on the role as Director of Communications and Special Events! As a leader in the Metropolitan Phoenix real estate community, Security Title is uniquely positioned to offer our customers the very best and most complete service. As a subsidiary of Fidelity National Financial, we now enjoy the strength of our association with the largest family of title insurers in the world combined with the same local decision-making that has marked our success for nearly 30 years. As Director of this amazing Non-Profit Cheryl is working hard to better the lives people around the country. Covenant Health Network (CHN) is one of the nation’s preeminent, not-for-profit post-acute care alliances dedicated to promoting resident-focused models of care and member services that balance high quality with efficiency to a growing membership of senior care providers. As an insurance Broker, I can find the perfect fit for all of your insurance needs! We look forward to helping you secure your assets and your future! THE ATTORNEY WELL-BEING GROUP: Dr. Pearlette J. Ramos helps busy professionals turn the ordinary-working long hours, feeling stressed, and being busy and disconnected from self and others-into the extraordinary: living with power, purpose and passion! She created the Attorney Well-Being Group to assist lawyers and other driven entrepreneur-types to better manage their stress, prevent burnout, and build resilience using research-based methods! After working as a commercial litigator, in-house counsel and municipal lawyer for more than 16 years, Dr. Ramos returned to school and obtained her doctorate in Psychology. 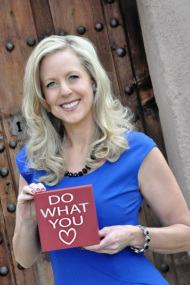 Today, she serves as a speaker, trainer, coach, author, and consultant that helps to inspire her clients to find their purpose, share their unique gifts with the world, and create more joy and freedom from their busy lives. Lori is an amazing addition to The GRG Network this year. She is one of the warmest people you'll ever meet and it's always nice to have a contact at the State of AZ, especially when she been there for over 20 years and can make stuff happen! Stephanie Gonzalez has been in the real estate industry since 1996, holding positions in sales, service, support, management and leadership with top local and national brands. In April of 2014 Stephanie was named the President of North & Co. In that position she is responsible for the operations, support services and strategic growth of the organization. 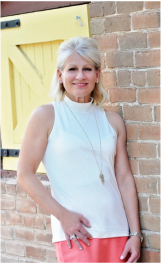 She proudly works closely with Owner, Brian North, to maintain a brokerage that is nimble, innovative, relevant and ultimately offers a unique proposition to both consumers and their elite agent population. 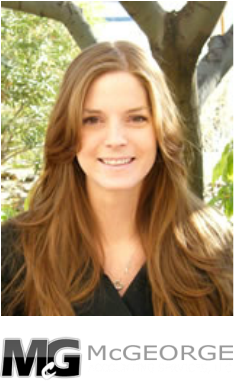 AnneMarie began her professional career with the prestigous Arizona accounting firm BeachFleischman PC. She earned her Bachelor of Science degree in Accounting from the Eller College of Management at the University of Arizona. Shortly after obtaining her degree, she passed all four CPA tests with flying colors and now teaches live Becker CPA Exam courses. A Consulting firm focusing on healthcare processes, operations and software integration. Studio Aesthete, LLC is a private Scottsdale, Arizona skincare studio owned by Amy Caldwell. We focus on corrective facials, peels, waxing, and eyebrow and eyelash tinting. Studio Aesthete provides a soothing environment that will leave you refreshed and relaxed after each visit. Because we are a private studio, each client gets customized skincare. Studio Aesthete goes beyond what is listed in our services. Each visit we will analyze your skin and adjust the treatment to your needs. When you leave, you will be prescribed a skincare regimen to maintain beautiful skin. We exclusively use Rhonda Allison and Dermalogica products. Look younger today! Changing the Face of Skin Care in One Step! Gena has built her business one relationship at a time and loves working with her borrowers and Realtors. Over 20+ years of experience in the financial industry as well as an undergraduate degree in Communications and an MBA in Business Management and Marketing. This strong background of education and experience makes Gena a well-rounded candidate to serve the First Time Home buyer, a family growing their portfolio for the future or the avid investor. "I created The GRG Network so that all of my connections could benefit from having an amazing female network!"